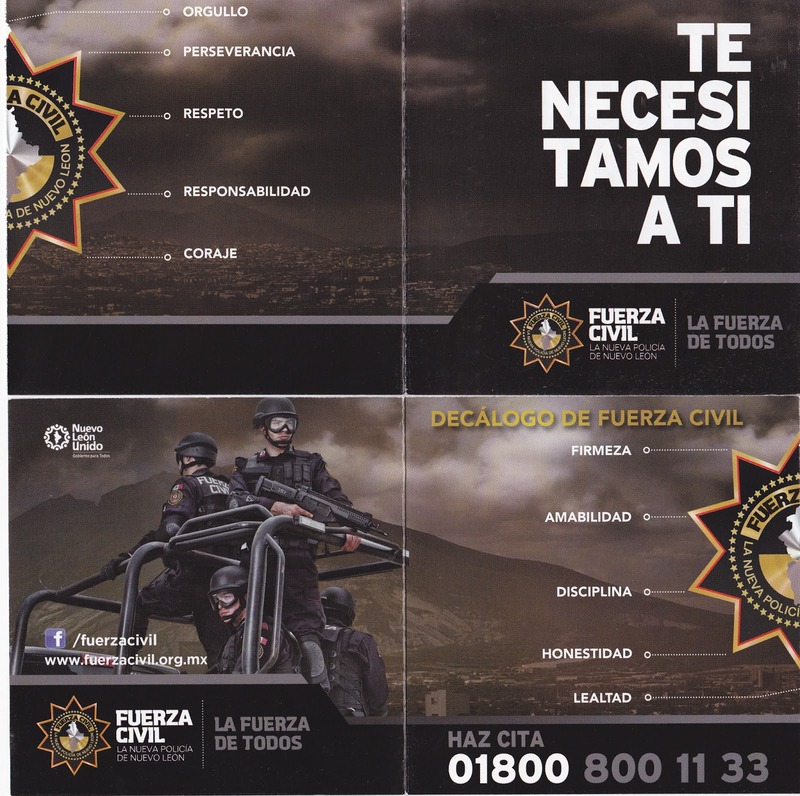 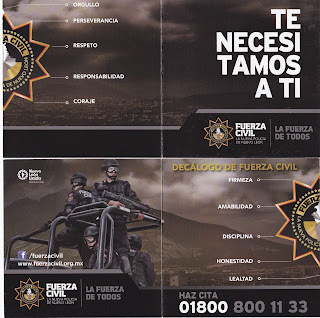 The Nueva Leon (Mexico) Fuerza Civil needs you! 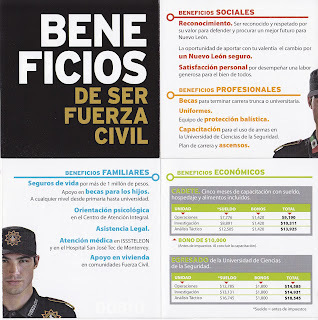 I picked this up at recruiting stand in the Mexico City subway last month. Here's a CBC (Canadian) story about the area. 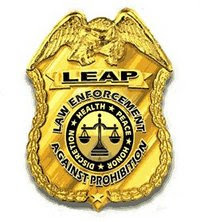 According to Fox News Latino: The Fuerza Civil is an elite unit "trained in military and police techniques, receive a college level education, which include ethics classes, and are paid better than normal Mexican police, with full benefits."